Do you ever feel a little…overwhelmed by the amount of stuff in your warehouse? Whatever it is your warehouse deals in, you’re bound to carry a ton of different individual product types, all with their own storage needs, sales volumes, and the like. It can get a little hard to organize at times, but an increasingly popular storage method for warehouses might be just what you’re looking for. Many warehouses are turning to varied warehouse storage options to help organize the wide range of products they stock, and as a result are finding themselves far more organized and better able to pick orders and process shipments than ever before. You’re probably already aware of the wide range of storage products out there, but if you’re looking to get your various SKUs better organized and easier to access, there’s a handful of categories that every storage type can be broken down into, each with their own advantages and disadvantages. The most broad type is referred to as carton flow. Carton flow can be a number of shelving types, but generally refers to anything that’s used to help bigger cartons (or pallets in some cases) move from one part of the warehouse to another, such as gravity flow racks or gravity flow conveyors. These racks can cover a pretty broad range of picking applications, and can help in a number of ways—for example, it can speed up manual tickets by allowing faster access to products, and can help with warehouses that use a pick-to-light service by allowing the items to travel more quickly to the shipping area from their previous homes. Better yet, a lot of these allow for SKUs of various popularity, from infrequent sellers to the highest volume picks your warehouse has. In addition to these mobile types, a lot of warehouses are using goods-to-picker media such as carousels and high density storage options. 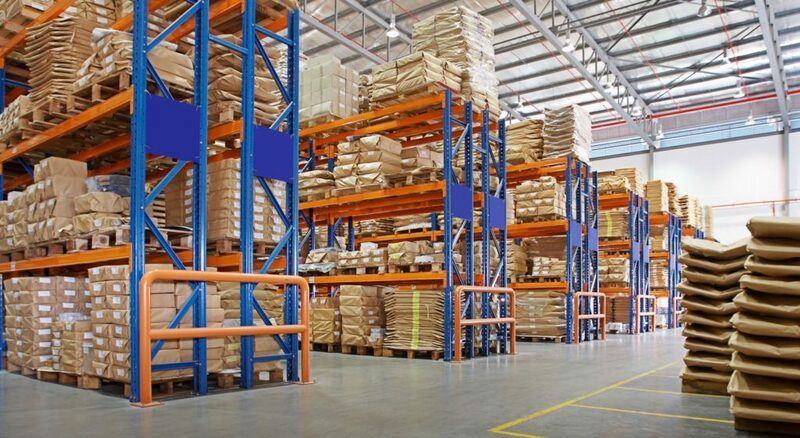 Goods-to-picker storage options also help with moving product types, but instead of focusing on getting them to the shipping area more quickly, they focus more on retaining a large number of SKUs in the most condensed area possible to improve order accuracy and cut down on handling time. Generally these types of shelving are used with inventory that needs to be stored with like items, or anything you find yourself storing a larger number of. It can reduce picker mobility, but the advantages in storing items more effectively will be worth it. The last of the three most-common storage types is referred to as static storage. This is the kind you’re probably most familiar with, and it encompasses things like wire shelving and pallet racks. These more “old school” storage types are better for products that either don’t fit in more dynamic storage options or anything that gets fewer than 300 picks per hour. The durable design and easy access of these shelves means they can store a large number of products for the long-term, perfect for items that may be hanging around a little longer than others. Obviously, different factors can affect what items are stored where, and this season’s fast seller can be next month’s space-hogging clearance item, but keep these general rules of thumb in mind and your warehouse should look less cluttered than ever. Amazing information about storage options in warehouses.